A coalition of residents’ groups, elected representatives, other organisations and individuals, who are dedicated to protecting people* in the Loughborough and Shepshed area from the harmful effects of airborne toxins from traffic, quarrying and especially the poisonous gas and nano-particle emissions from the giant waste incinerator proposed by Biffa, Covanta and the Green Investment Group, at junction 23 of the M1 at Loughborough. *Including those in vulnerable groups - babies, children, young people, pregnant women, the elderly and people engaged in outdoor sporting and exercise activities. Incinerator flue emissions contain in high levels of greenhouse gases. For every tonne of waste burned, typically more than one tonne of CO2 is released into the atmosphere. This means that incineration has a higher carbon intensity than the conventional use of fossil fuels, and significantly higher than what most people would consider ‘low carbon’. In addition to greenhouse gas emissions incinerators (including gasification and pyrolysis plants) emit many toxins and pollutants, giving rise to public health concerns. Although incinerator fumes pass through expensive filter systems, modern incinerators still emit significant levels of dioxins, Oxides of Nitrogen (NOx) and nano-particles that can be harmful to both human health and the natural environment. A well-respected study (Mao, et al. 2007) found that the concentrations of nano-particles (PM2.5 and PM10) in a study area located downwind of a waste incinerator were significantly higher (between 220% and 700% higher) than the study area upwind of the incinerator. The study indicated that the air had “significant contamination by air pollutants emitted” from a waste incinerator, representing a public health problem for nearby residents, despite the facility being equipped with a modern air pollution control system. In addition to flue gases, there are two kinds of ash generated by an incinerator: the bottom ash (about 90 percent of the ash), which falls through the grate system at the base of the furnace, and the fly ash—the very fine material entrained in the flue gas. Ideally, this fly ash is captured in the boilers, the heat exchangers, and the air pollution control devices; however, inevitably a small fraction escapes into the atmosphere. As far as toxic metals are concerned, it is a chemical truism to state that the better the air pollution control the more toxic the fly ash becomes. The bottom ash is also toxic and is typically sent to land-fill. However, there is an increasing body of evidence and expert scientific opinion that primary particulate matter (PM) a.k.a nano-particles cannot be effectively filtered from waste-incinerator emissions. The filters would need to be so fine that they would stop the flue from working! Focussing on the harm to human health caused by PM, especially PM2.5 - these tiny particles can get into the lungs and blood and be transported around the body, lodging in the heart, brain and other organs. PM affects health in two ways: by being toxic or by providing a surface for transporting toxic compounds to where they can do harm. PM can have short-term health impacts over a single day when concentrations are elevated, and long-term impacts from lower-level exposure over the lifecourse. Effects are amplified in vulnerable groups including young children, the elderly, and those suffering from breathing problems like asthma. Experts in the effects of nano-particles on human health have advised that people who are training/exercising/playing-sport outdoors (especially at high intensity) are at much greater risk that the general population because they breathe-in larger volumes of polluted air. The Department of Health and Social Care’s independent Committee on the Medical Effects of Air Pollutants (COMEAP) quantified the longterm impacts of UK PM concentrations in terms of mortality as equivalent to 340,000 life years lost! Waste incineration presents a very real threat to human health for those communities exposed to flue fallout and therefore very likely presents an infringement of Article 2 of the 1998 Human Rights Act and the European Convention. Epidemiological evidence in support of this is now substantial and it would be difficult to see how such claims could be judged to be unreasonable. "... heed should be paid to research supporting known health hazards not currently legislated against"
Air pollution is an invisible but dangerous threat to children’s health. Toxic emissions candamage children’s growth and leave them with lasting health problems. This not only violates a child’s right to health, but also their future. It could impact their right to education, their right to play and ultimately, their right to life. At least 1 in 3 babies are growing up in areas of the UK with unsafe levels of particulate matter, the most dangerous pollutant for our health. pollution in the air that have a diameter less than 2.5 µm, smaller than the width of a human hair. and young children, these health effects are even more acute. Exposure to toxic particulates during these critical early stages of development can leave a child with stunted lungs, with respiratory conditions like asthma and reduced brain development. All the lessons we have learned over the years about the dangers from incineration have been quietly disregarded and plans are being drawn up to use poor-quality combustion facilities to burn waste rather than using the safest incinerators (and I take this to mean incinerators with built-in vitrification units). Attempts by the government and Environment Agency to assure people that there are no health effects from incinerators fly in the face of all the available evidence. Incinerators are adding to toxicity to our air, our land and, over time, to our water tables. This is neglecting our responsibilities to the public and to future generations. The Environment Agency is here to protect the environment and to protect our health from environmental hazards. Most people would expect them to be actively taking steps to improve the worsening air quality, given the well-recognised dangers of particulate pollution. Few will understand why they are allowing so many incinerators to be built, why they are not prohibiting their use in areas where air pollution is already high and why they are not using the safest and very best methods of incineration that are now available. optically by measuring the ‘blackness’ of a filter after air had been drawn through it. This measurement was called black smoke and is practically the same as the black carbon measurement, as this is the part of PM that most strongly absorbs light. Black carbon is created by the incomplete combustion of fuels and is a major part of soot – for example diesel soot. Besides elemental carbon it contains polycyclic aromatic hydrocarbons (PAHs). of the PM mixture varies from place to place. Near to roads, emissions from vehicles form the majority of PM, whereas in rural areas there is an increased amount of PM produced by chemical reactions in the air including nitrates and sulphates. sulphur dioxide, ammonia and volatile organic compounds. "If there is one way of quickly extinguishing the value in a material, it is to stick it in an incinerator and burn it. It may give you energy out at the end of the day, but some of those materials, even if they are plastics, with a little ingenuity, can be given more positive value. One thing that worries me is that we are taking these materials, we are putting them in incinerators, we are losing them forever and we are creating carbon dioxide out of them, which is not a great thing…I think that incineration is not a good direction to go in." Professor Ian Boyd, Chief Scientific Adviser, Department for Environment, Food and Rural Affairs (January 2018). 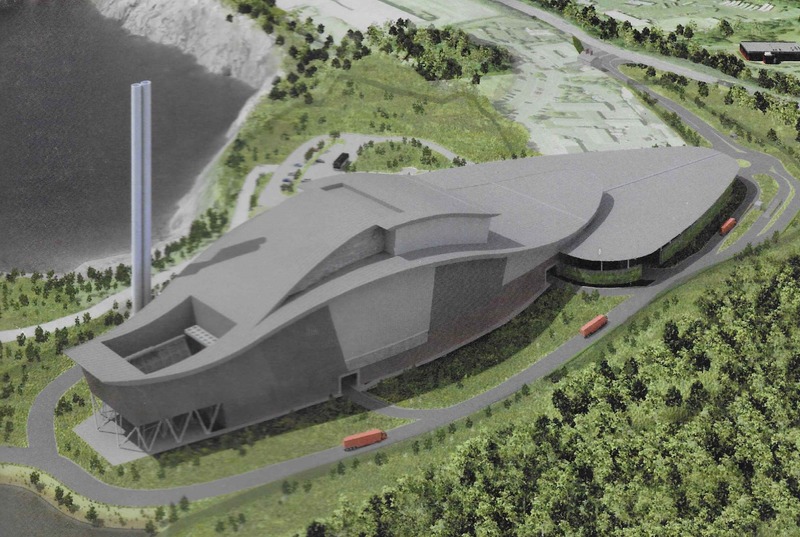 “It is a fact that waste incinerators produce a plume of very tiny particles. 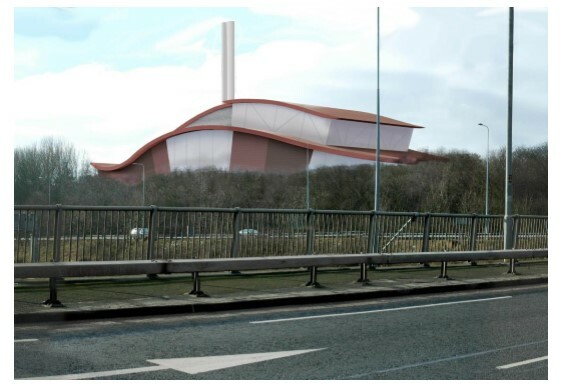 The placing of a waste incinerator in a busy inhabited area is certain, in my opinion, to have a big local impact on particle pollution. There is no debate that particle pollution shortens average life span and currently is estimated to cause 40,000 premature deaths per year in the UK. The United Kingdom Without Incineration Network opposes the incineration of waste, including via gasification, pyrolysis and cement kilns. Incineration depresses recycling (see our evidence), destroys valuable resources, releases greenhouse gasses, and is a waste of money. Incineration has no place in the zero waste closed-loop circular economy we should be working towards. The BACI Committee met on Thursday 15th November to discuss the possibility of proceeding with a challenge to the High Court Judgement at the Court of Appeals. The Committee unanimously agreed that BACI should take the opportunity to proceed to the Court of Appeals. This – of course – is dependant on the full and generous support of those who would be affected by Covanta’s plans. The main points that the Committee considered were: both our Barrister and Solicitor have stated that they believe there is merit in moving forward with the case. the judgement contained elements that could be described as contradictory the reliance on actual ‘precedents’ in the judgement was weak – as although 2 Appeals/Supreme Court judgements were cited – one relied on the other as precedent. the main precedent claim in question was judged in 2003. Our knowledge of the effects of pollution is growing every day – as is the amount of pollution we are subjected to. the situation we find ourselves in is that the money already raised and spend on the High Court Case would effectively be lost unless we build on this opportunity to appeal – with the added possibility of affecting future cases involving regulators such as the EA i.e creating precedent. the impact of Covanta’s plans will have such a profound and destructive effect on the Marston Vale and surrounds for 35 – 40 years the timings involved in a Court of Appeals case would allow ample time to fundraise for the hearing stage – which we are advised is likely to be as late as the end of 2019. It was noted that the timings for the first step – which is the permission stage – is very tight. at a recent Global Industrial Conference Covanta stated that the High Court Judicial Review had meant that they had put their plans for finalising the construction contracts and achieving financial close for the project on hold. 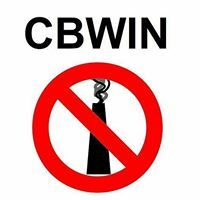 Welcome to CBWIN - Cambridge Without Incineration. CBWIN is a group formed by concerned local residents who wish to bring people together and find out the facts surrounding the proposed Cambridge waste incinerator by Amey Cespa, and not just the information given by commercially interested parties. We intend to provide independent information that is not from waste industry sponsored reports. We want all locals affected by this plan to be able to make an informed choice, and to ensure that decision makers act on what the public want. Visit cbwin.co.uk to find quick links to comment on the application itself, non-industry sponsored information and template examples of comments.